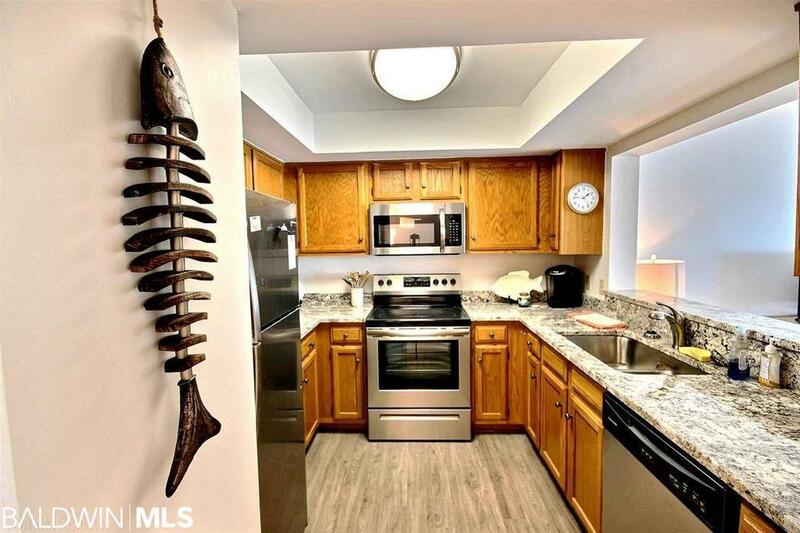 This tastefully updated, east corner, Gulf Front condo features granite counters, stainless steel appliances, fresh lighting, gorgeous decor, walk in laundry, tile flooring, and fresh paint throughout! 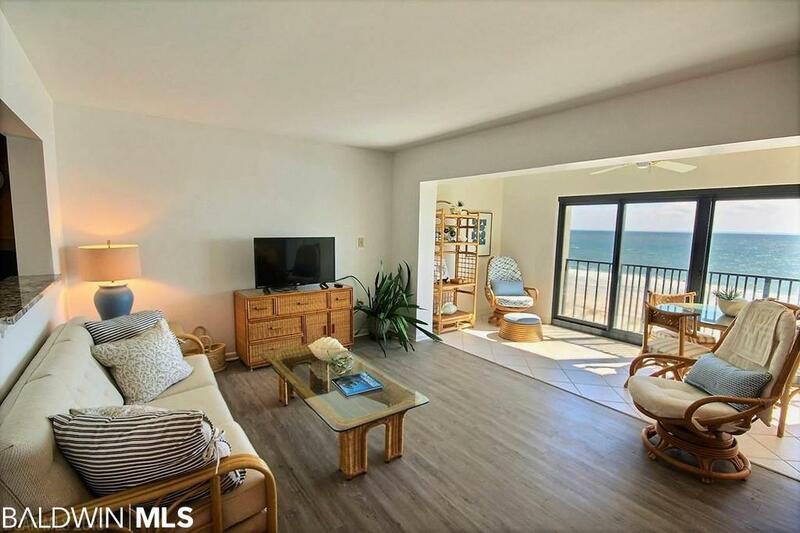 Watch the waves roll into your living room from the private, enclosed balcony area! The upgrades in this unit are incredible! Sold fully furnished. 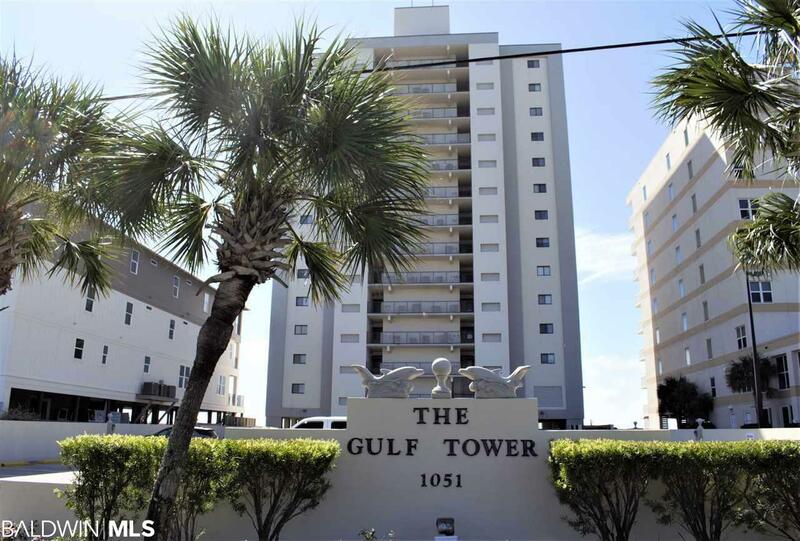 Gulf tower is in the heart of Gulf Shores and features covered parking, enclosed balconies, a great pool, and incredible Gulf Views!! Phenomenal rental potential! You don't want to miss this one! 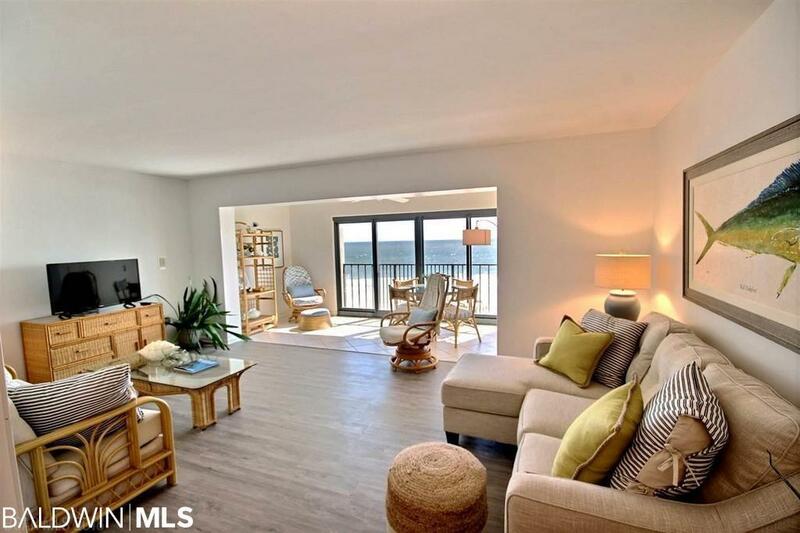 This condo has never been a rental and is in pristine shape! Listing information © 2019 Baldwin County Association of REALTORS® MLS. IDX information is provided exclusively for consumers' personal, non-commercial use and may not be used for any purpose other than to identify prospective properties consumers may be interested in purchasing. Data is deemed reliable but is not guaranteed accurate by the MLS or RE/MAX of Orange Beach, The Premiere Team. Data last updated 2019-04-24T22:27:37.757.